Erbachhofer is an apple variety that has been used for making Apfelwein or, as locals call it, viez in German Saarland but also in small Luxembourg. 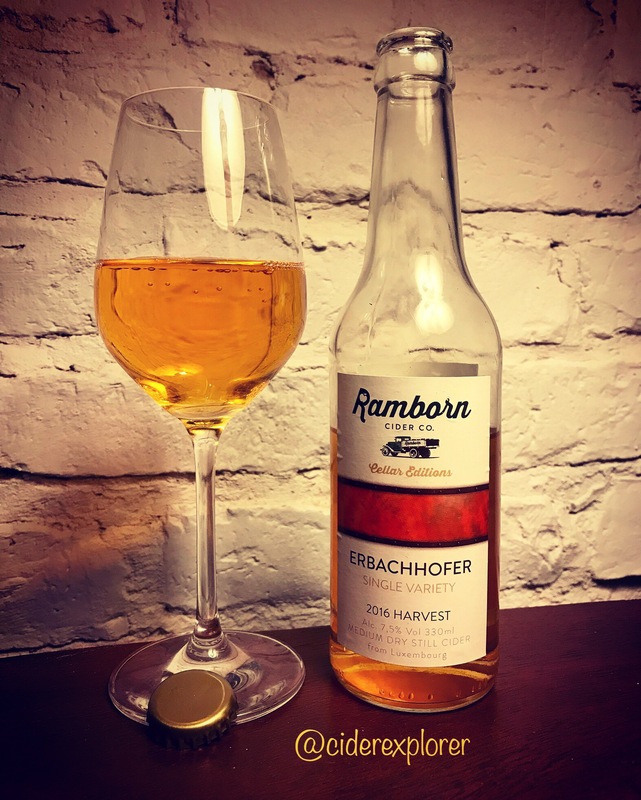 When it was time to make a blend for the Farmhouse, my personal favourite cider from Ramborn, Caroline, the cider maker at Ramborn kept some separated Erbachhofer as it simply tasted so good. Hence, tasting Erbachhofer, a cider from Ramborn’s Cellar Editions should give one a picture of what Luxembourg’s cider apples are really like. Company: Ramborn Cider Co. Appearance: pours a clear amber with orange hues and no head. No carbonation. Body is medium. Aroma/Nose: the nose is rich and slightly sweet with notes of red and yellow apples, overripe apples, apple juice, oak, and a hint of pear. I can also get a very distant flavour of caramel, cinnamon and cloves. Taste: it starts with low sweetness and a delicate watery taste with relatively high lemon-like acidity that instantly stimulates your salivary glands to produce saliva. Subsequently, a note of red apples and yellow apples, light astringent taste, oak and apple-seed bitterness appear with a strong smoky note, detectable only in the beginning. A lingering lemon flavour with moderate apple seed-bitterness and a hint of green apple in the aftertaste. Availability: since it is a special edition cider the availability might be limited and therefore hard to get. In Germany available at this moment only from The Hop Shop Trier. Price: Erbachhoffer was kindly sent to me by Adie from Ramborn Cider Co.